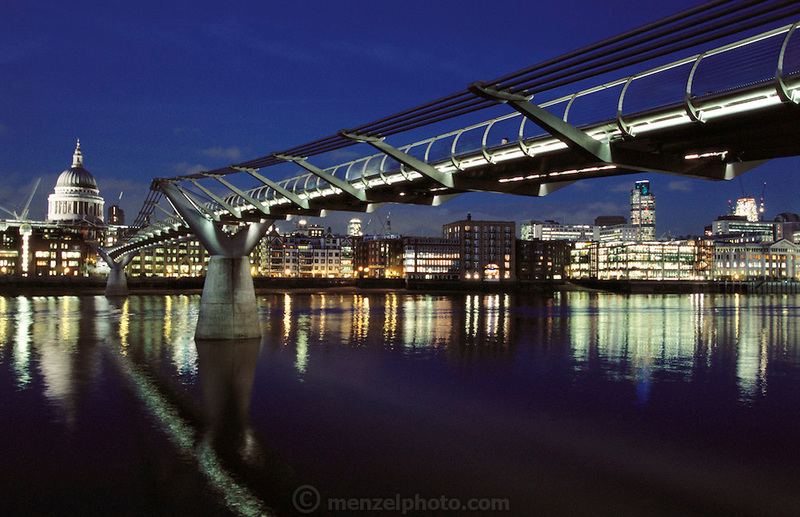 London Millennium Pedestrian Bridge over the River Thames, links Bankside with the City. At night. London, England.